Zhejiang Huamao Machinery Co., Ltd. and Zhoushan Jinmao Machinery Factory are the largest manufacturers in China that specialize in research, design and manufacture of a full series of screws, barrels, assembly parts, applied for various extruding machines and plastic injection molding machines. In addition, we also design and manufacture screws with special alloys and special flight geometry to meet specific customer applications. We not only offer the best possible screws and barrels, but also provide solutions to help customers solve extruding and injection molding problems. Our design engineers have outstanding theoretical background and practical experience, providing optimum designs of screws and barrels for our customers. Our engineers conduct thorough analysis according to customers machine model, production capacity required and resin properties before design. All related parameters that may affect screw performance are designed based on theorem, such as screw type, L/D ratio, flight depth, flight density, helix angle and so on. This outstanding design capability will ensure our screws and barrels help customers upgrade product quality and production efficiency. 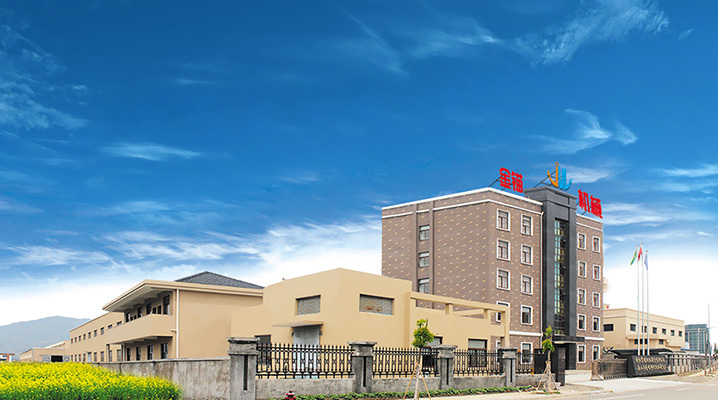 With more than ten years constant efforts, our company occupies more than 10,000 M2 and equipped with kinds of advanced CNC processing machines. Furthermore, we have improved our yearly production ability of over 20000 sets screws and barrels. We have passed the ISO 9001:2008 International Quality System, our every production process is under strict inspection to ensure that only high-quality products are delivered to our customers. Till now, our screws and barrels have been exported to more than 40 countries all over the world. We will make more efforts to be perfect with the development policy of “service, quality, professionality”. We will continue to exert our best to provide best products and services to customers. Your satisfaction is our unremitting pursue. Welcome to HUAMAO and JINMAO. The Quality Companies.